Walt Disney Records announces the release of Sheriff Callie's Wild West soundtrack. It became available June 30th. 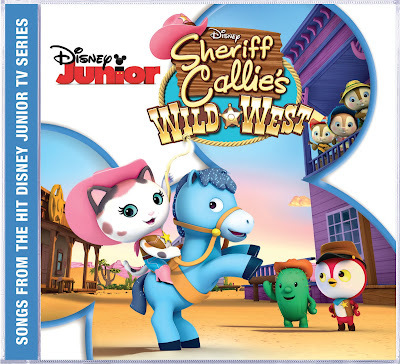 The soundtrack features 26 songs from the hit Disney Junior TV series “Sheriff Callie’s Wild West” including “Sheriff Callie’s Wild West” theme song, “Amazing Lucky Scarf,” “Picture Perfect” and more. 15. Just a Little T.L.C. 19. Who Could It Be? 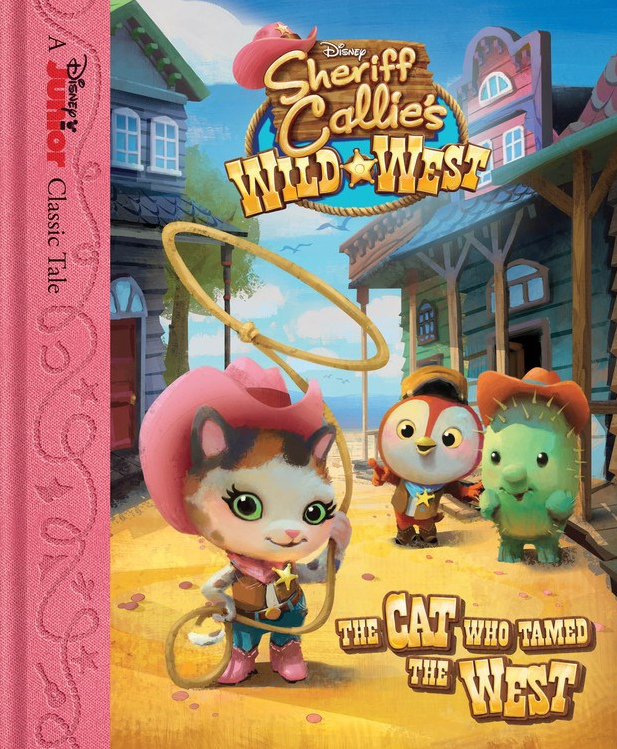 Also available is Sheriff Callie's Wild West: The Cat Who Tamed The West hard cover book. It is available wherever books or eBooks are sold. Courtesy of Disney Publishing Worldwide. One person will win Sheriff Callie's Wild West Soundtrack CD and Sheriff Callie's Wild West: The Cat who Tames the West hardcover book. We don't have cable, so no. Well maybe they've watched it at my parent's house. I haven't heard of it though. My 4 year old loves sheriff callie! We sing Sheriff Callie's song, "Ask for Help" in Preschool and my kids love it! She has watched it a couple of times at her nana's house. My children have and really enjoy the show. We have not seen this show. It is new to us. Yes... we have seen this show. Yes, we love watching Sheriff Callie. We've never heard of it. My grandkids love that program. My niece and nephew both are mesmerized on the Sheriff Callie's Wild West TV show on Disney Junior.